The changes, which aim to simplify and standardize its baggage policy, all while allowing the airline to align itself with the current practices of the industry. Air Transat announced its new checked baggage allowance policy. The changes, which aim to simplify and standardize its baggage policy, all while allowing the airline to align itself with the current practices of the industry are already in effect for departures as of November 1, 2016. The policy will now take into consideration the number of pieces of checked baggage in addition to the weight and will apply to flights and packages to the United States, Caribbean, Mexico, Central and South America and Europe, as well as to domestic flights within Canada. The maximum weight per bag will also be increased and standardized. For Economy Class passengers travelling to these destinations, the baggage allowance will be increased from a total weight of 20 kg to one piece of 23 kg. For Economy Class passengers who have booked cruise packages, the baggage allowance will be increased from a total weight of 25 kg to one piece of 28 kg. 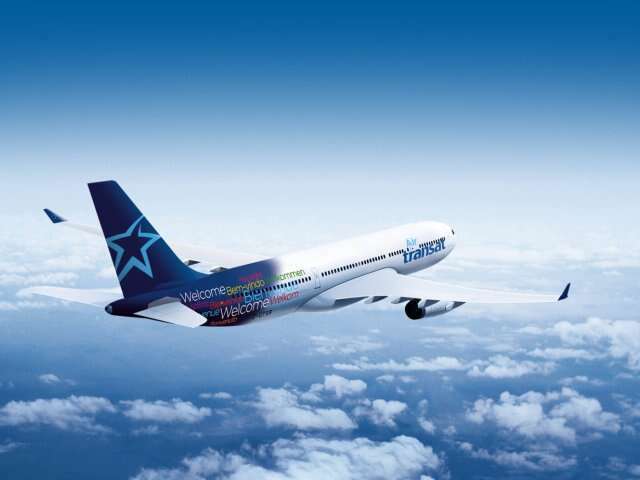 However, for Economy Class passengers who have booked all-inclusive packages to the South, Air Transat will include one free piece of checked baggage of 23 kg, compared to 20 kg under the previous policy. Air Transat will continue to allow one free piece of checked baggage of 23 kg for all Economy Class passengers travelling to Europe. Option Plus passengers in Economy Class will benefit from an additional piece of checked baggage of 23 kg. This new privilege makes an upgrade to Option Plus even more attractive, in particular to passengers who book flights only or packages to the South or Europe, as baggage allowances increase to two pieces of 23 kg each, for a total of 46 kg. Option Plus benefits also include seat selection and priority check-in, boarding and baggage handling, as well as other extras on board. For more details on Air Transat’s checked baggage allowance policy, visit airtransat.com. *Economy Class passengers who have booked flights only to the South at Eco Extra or Eco Max fares will be allowed one free piece of checked baggage of 23 kg, and an additional piece of 23 kg if they upgrade to Option Plus. Eco Fares (Eco, Eco Extra and Eco Max) offer flexible conditions for flight changes or cancellations.